Learning Spanish in Madrid either through an intensive course or year long study is one of the fastest and most cost effective methods to get to grips with Spanish as a second language. An important part of visiting any country is enjoying the best of the local culture and language schools in Madrid cater to this need as well! By being alongside people of many nationalities the interchange of ideas as to the best things to do and see is both frequent and exciting... even more so the more Spanish you understand! Spanish now has the 3rd largest number of native speakers in the world and for any business or person wishing to communicate globaly Spanish is essential! A long term Spanish course in Madrid is excellent for those wishing to learn the language whilst working either part time or full time. For more about working in Spain. You can tailor your course to fit around work or other study commitments and coupled with living in the city can organise or focus on certain parts of the Spanish Language. An series of intensive Spanish lessons in a short time frame is ideal for those wishing to learn Spanish in Madrid before continuing their holiday or vacation or simply those who need to refresh their Spanish for work or business reasons. Intensive Spanish lessons are available at differing levels and talking to the Spanish language school about your objectives before starting is always welcome. Obviously the fastest and most effective method to learn Spanish in Madrid you can tailor the course to suit your specific needs and desires. For example Spanish you learnt through friends won´t give you those slick presentation skills needed in the sales or retail sectors. Configured for short or long term study you decide the pace of your learning as well as the location! If you really want to enjoy the Spanish culture, and more importantly get over those akward moments when away from the teacher, then staying with a Spanish family is a fun and entertaining way to spend your non study time! Study with a few friends or make new ones by sharing student accomodation to spread the costs. Considering that almost everyone will be in the same boat as you there are people there to help and assist with language, culture and even homesickness problems. Spanish schools in Madrid maintain a list of apartments that are available for short term lets to students enrolled in their courses. Apartments can be taken on their own or in groups to help spread the cost of accomodation whilst studying. Normally a wide variety of accomodation is on offer to suit every purse! What is the best Spanish school in Madrid? What is the cheapest language school in Madrid? ...and has taught students from 113 countries! As a final test of Estudio Sampere we checked their response times and reply accurcy to a number of different information requests and Monday to Friday received detailed replies within 24hrs without fail. NOTE:Madrid-Guide-Spain has no economic or monetary connection to Estudio Sampere. 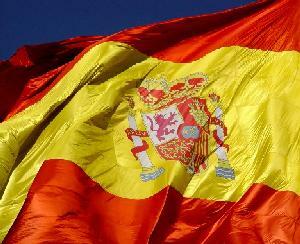 Be sure to check out the cultural benefits of your learning Spanish in Madrid!